Whoo, it’s been a while since I posted up a review post… thankfully I haven’t forgotten the format of these posts. 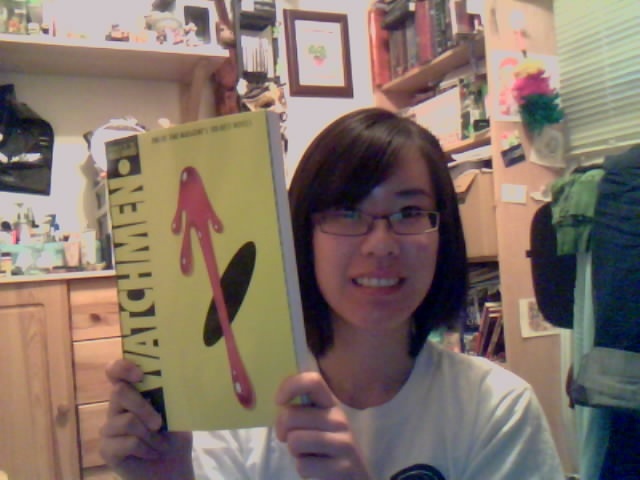 Hooray for remembering but here we go! 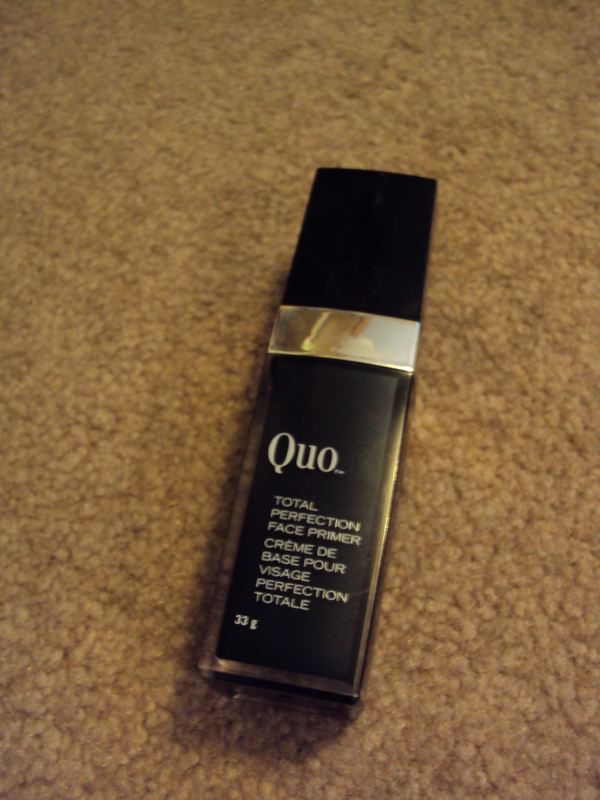 Review: Quo is a Canadian brand for those who are unaware and is only available at Shoppers Drug Mart. A primer is used before foundation to set a adhering base and to smooth out skin tone. Some primers are used to enhance the skin such as making it radient or colour correcting. This primer is only meant for keeping foundation on longer and even if I wore this on its own it really does have no effect. When I use this primer I notice that my base makeup stays on longer than without the primer give or take a few hours. It is a clear gel-like consistency and feels very smooth to the touch making it hard to determine which part of your face that you forgot to rub the primer into. Half a pump is enough for a full face also including the neck. I know that this will last a while before I have to go buy a new one. A pretty decent primer that doesn’t break me out like Smashbox Photofinish did. Would I recommend this product? I would recommend this product for those who are in Canada or live in Canada as it is a Canada exclusive product (how many times did I have to write Canada?). But there are other cheaper alternatives (Rimmel Fix&Perfect Primer) out on the market and this step isn’t really needed if you don’t need your makeup to last throughout the entire day. Review: So I picked up the blush because I thought it looked pretty in the pan and the packaging was so modern looking with the plastic and everything. When I first tried on this blush it was actually quite shimmery so I used a little next time and it illuminated my cheeks and overall a really nice highlight blush combination. As you can tell I have hit pan on this blush and I think that it is best to use this type of blush in the winter as it gives your skin this really nice glow. I found that it works nice in the summer as well I like to wear powder blushes in the summer just cause cream blushes tend to melt off my face due to the heat. The pigmentation isn’t that bad it isn’t overly sheer nor is it like heavy pigmentation something in between so just one or two swipes across your face will leave it with a nice pink color on your cheeks. As for the texture of the blush it is a nice powdery feel that just glides over your skin the powder is finely milled so there are no inconsistencies. 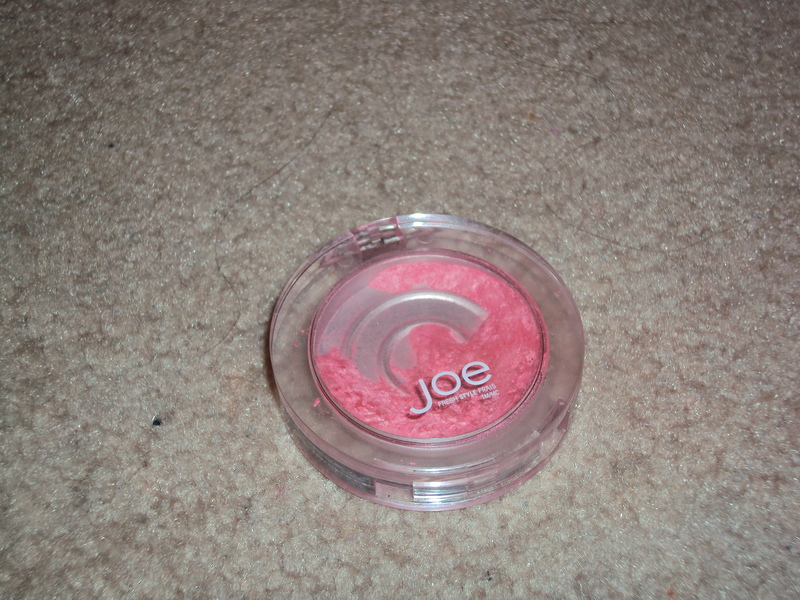 Overall, I really liked this blush and would definately repurchase it. Would you recommend this product to others? I totally would! Don’t be taken aback by the shimmers that this blush has and with just a $6CDN pricetag it is one of the cheaper and nice blushs you’ll ever try! 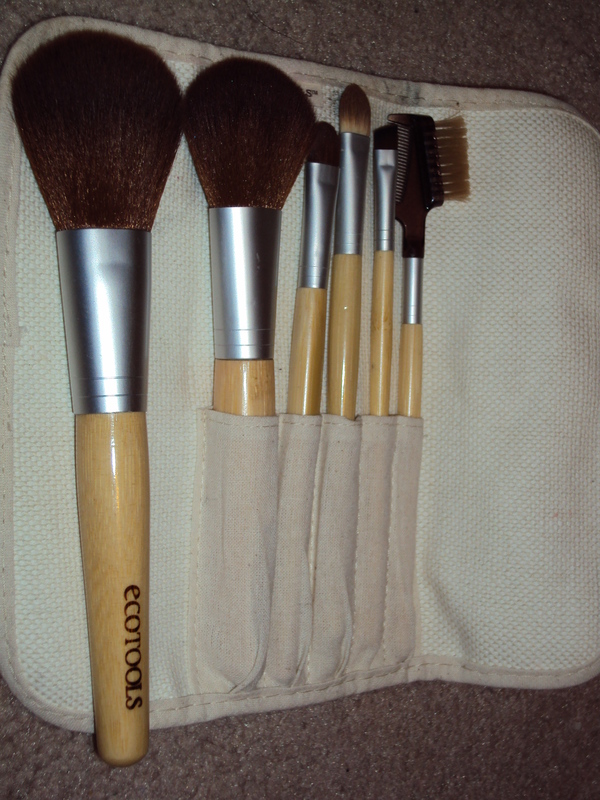 A review on Ecotools Makeup Brushes. So here are the brushes that I have from Ecotools and I have been using them since I got them in July… so it’s been about 8 months. Photo of them. I have the 6 piece set and the powder brush. The 6 piece set includes a blush brush, concealer brush, slanted eyeliner/brow brush, all over shadow brush, brow/eyelash comb brush and the brush roll made of hemp. These brushes can be purchased at Superstore, Walmart, and London drugs. I believe that they are cheaper at London drugs than at Superstore or Walmart but you can look at those places and decide on which ever place you want to buy them from. Review: When I first bought these brushes I thought that they would be scratchy and stuff but the bristles were really really soft for each and everyone of the brushes. Even the brush roll amazed me at how soft it was despite the fact that it was hemp. Each of the brushes are extremely soft and they feel really nice on the skin. Now onto each brushes purpose, the powder brush is for your translucent powder but I find that it is quite fluffy compared to other brushes and due to its fluffiness it doesn’t pick up and distribute powder evenly over my face. I still use it as I really like the feeling of it compared to other brushes that I have tried and returned. The blush brush is pretty dense and really does distribute blush evenly and is soft to boot! Picking up color on this brush is easy as one swipe across your product. A great powder blush brush. The concealer brush is a wide multicolored brush and since I wear concealer most of the time I usually use this brush so it might seem like its worn out. It is a perfect width across as I can swipe this brush anywhere on my face and still be able to blend in my concealer really well. I really liked this brush as it worked for lots of different areas on my face. The angled brush which can be used for eyeliner or brows. I use this brush to line my eyes and to me it is the least softest of the brushes. It was quite harsh and really hurt my eyes while I was lining my eyes. But it works nicely as a brow powder brush. The all over shadow brush picks up a lot of product and is dense but where it lacks is that it doesn’t distribute the product evenly over my lids. Overall a nice and soft brush though. The brow/eyelash comb brush is average as is any other brow/eyelash comb on the market. Would I recommend these products? I would totally recommend these brushes to others who are starting off with makeup or want to be eco-friendly to the environment. They are so soft, great brushes, and are relatively cheaper than most other drugstore brushes (other drugstore brush brands include Annabelle, Joe Fresh, Quo, etc. ).